Here is the average sizing for all of our bonnets. The fit of each bonnet will overlap between the sizes. How soon will I get my bonnet? Custom Bonnets take 7-14 business days. Whimsyland bonnets take 7-14 business days. Predesigned bonnets will be shipped out within 7-10 business days. Standard shipping usually take around 2-5 business days. If you want to rush your order, you can add the rush my order option to your cart and your order will get shipped out within three business days & be shipped with priority shipping. For shipping within the US, we charge $3.75 for the first bonnet and an additional $1 for bonnets after that. Shipping Prices for the US: 1 bonnet – $3.75 Shipping, 2 bonnets – $4.75 shipping, 3 bonnets – $5.75, 4-10 bonnets – $6 shipping. If you are interested in more than 10 bonnets please contact us at orders@rozsew.com. If you wish to rush your order with priority shipping, add the rush my order to your order. Shipping Prices for International Orders: 1 bonnet – $15, 2 bonnets – $18, 3 bonnets- $21, 4 bonnets – $24, 5 bonnets – $27, 6-10 bonnets – $30. If you are interested in more than 10 bonnets please contact us at orders@rozsew.com. Can I get my bonnet any faster? We understand that sometimes you need something sooner. You can add the rush my order option to your cart & your bonnet will ship within two business days & ship out with priority shipping. How can we decide out of all your fabric options? We strive to offer a service to individuals who like to be unique and one of a kind! We love dressing up our littles in things that are uniquely us. We buy only a limited amount of fabrics and we search for quality vintage fabrics. We want your rōz bonnet to be one of a kind! You can look through our instagram (@rozsew) to see combinations that others have put together for a custom bonnet. Or, if designing isn’t your thing, we have our WhimsyLand & Predesigned section as well. What if I want to return my bonnet? Unwashed, unworn, & unused bonnets may be exchanged for shop credit within 2 weeks of date received. Customers are responsible for paying for the shipping charges on their exchange. As soon as we receive your bonnet, your exchange will be processed & shipped out within 7-14 business days. No exchanges on sale items. All of rōz items are not to be left alone with a baby or toddler. Do not allow a baby or toddler to sleep in any rōz products. All babies and toddlers should always be supervised while wearing any rōz products. Please do not allow your child to put any part of our products in his/her mouth. 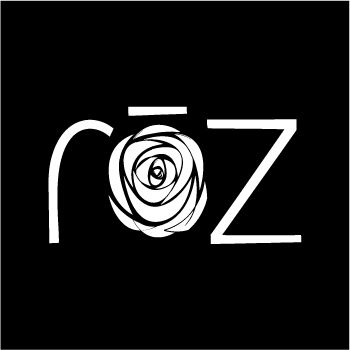 rōz assumes no liability for injury, medical issues, or death resulting from product misuse.